I'm a huge peanut butter fan and since discovering the joy of frozen bananas I've recently been living off these two minute peanut butter milkshakes. So you can imagine my delight when I was sent a new peanut hot drink mix to try. 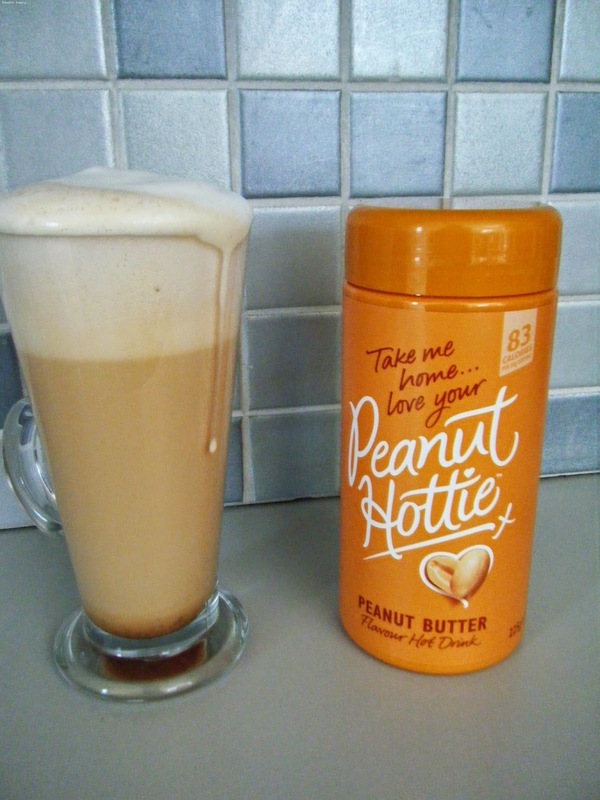 Peanut Hottie is a powder that you mix with hot water to make a hot peanut drink, think hot chocolate but instead of chocolate it's peanuts. I'm already addicted, which could possibly be due to the fact that first ingredient is sugar. Peanut flour features down at number ten on the ingredients list but all I can taste is peanuts and it smells divinely nutty too. I've only had the tub for a couple of weeks but it's made it's way into several projects in my kitchen and we even took it camping last weekend. I'll definitely be replacing the tub when it runs out. Mix with a few drops of hot water to create that thick peanutty syrup that's drizzled on the latte. It's also great on ice cream, yoghurt or over fresh fruit. 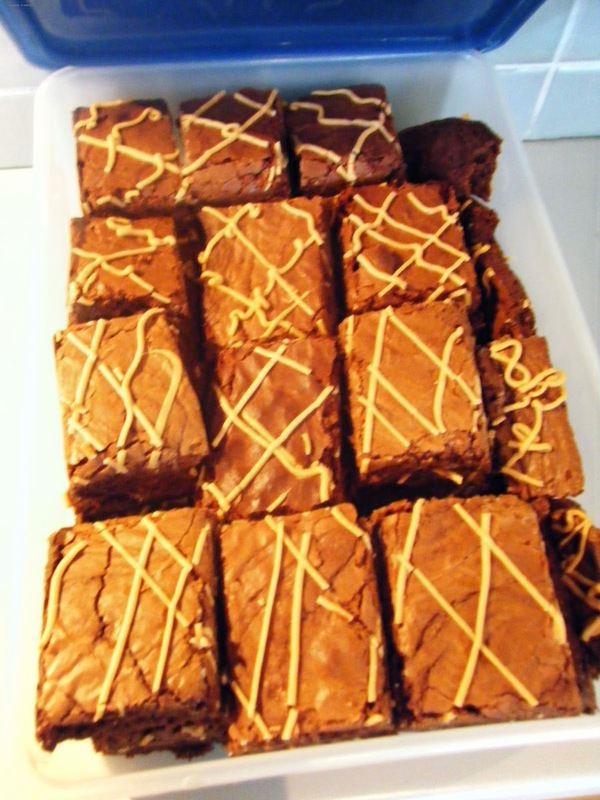 Replace coco powder with peanut hottie in all your favourite recipes from peanut brownies to peanut meringue pie. Peanuts work really well in savoury dishes, the Peanut Hottie website has a stir fry recipe. 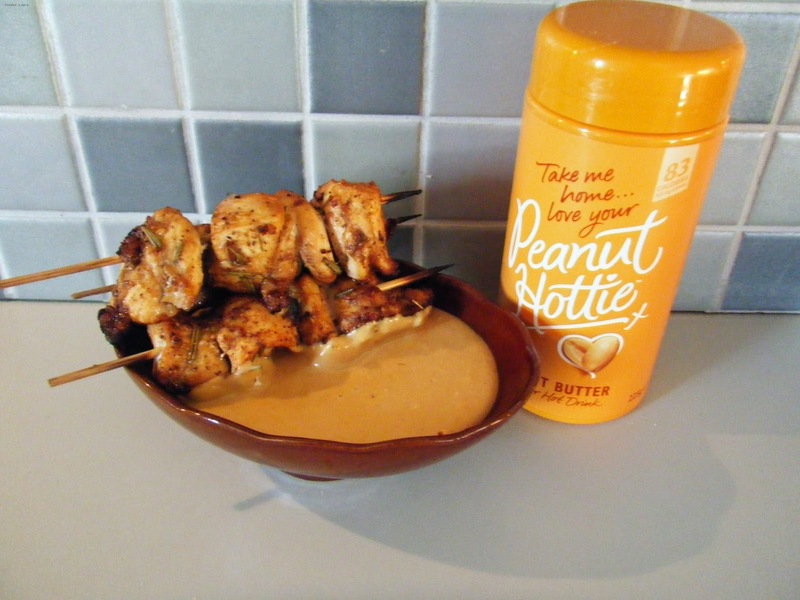 I loosened the peanut syrup (recipe above) with some cream cheese, a tablespoon of milk and pepper and paprika to make a satay dipping sauce which I served with chicken skewers. And finally you really don't have to do anything fancy with this just use it as directed on the pack by mixing it with hot water. 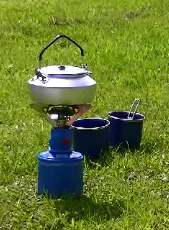 The light weight container makes it great for camping.